Approximately forty people round out each of the “bands” for each teaching and follow the entourage in the procession. These individuals are comprised of members of the public who signed up in advance from a general call for participants. Marching in solidarity with the other characters in their teaching, these members of the public were brought into the Ring of Fire without much knowledge of how the procession would unfold the day of the performance, adding a level of spontaneity to our presence on the street. Here are the original patterns for these masks as well as images taken throughout the mask-making process. A huge number of youth throughout the city contributed to the making of these masks at our public mas camps held over the past year at different locations throughout the Greater Toronto Area. 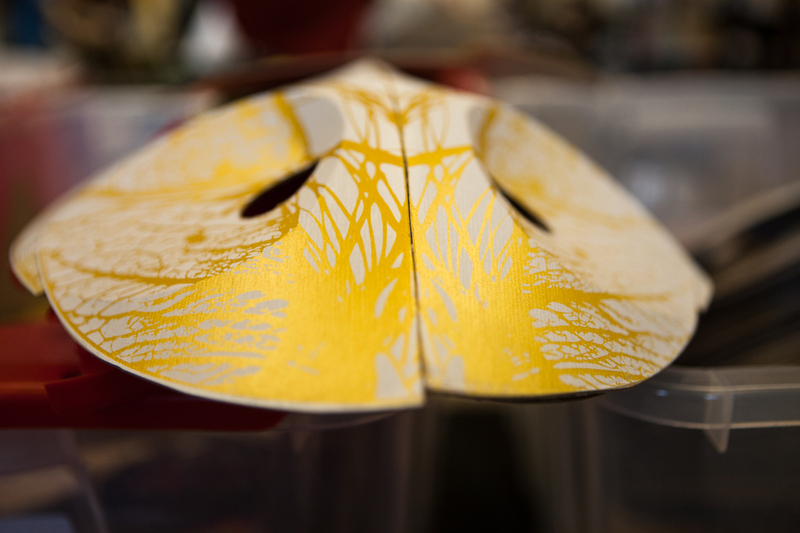 These custom-designed masks are made from waterproof paperboard, a signature material of Griffith’s past works. 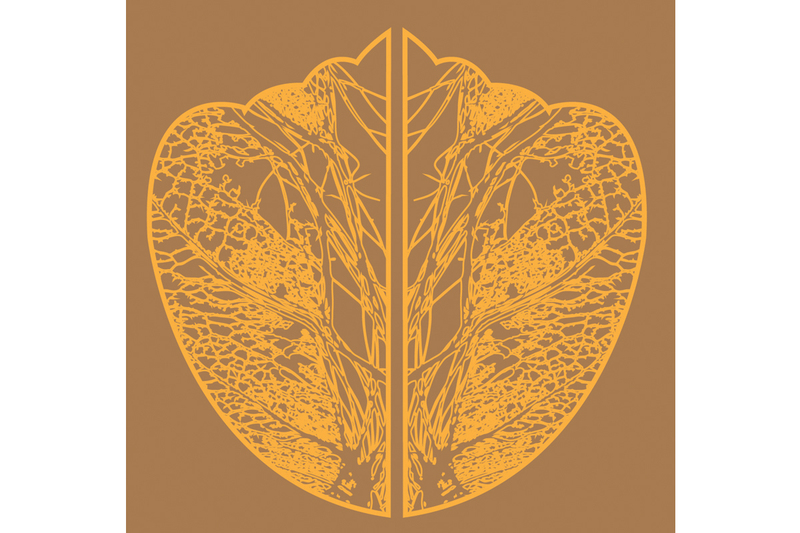 Each feature differently coloured screen-printed patterns that are based on a leaf that Griffith found in Trinidad, evocative of veins: the life-blood of the procession. While they appear the same, each are unique with different variations based on the fact that they were all hand made. A total of 300 of these masks were hand cut, scored, folded, glued together, and lined with foam.